Los Angeles is in ruins and its citizens left to struggle for survival after the conclusion of Twisted Metal, a brutal contest held by Calypso, exactly one year earlier on Christmas Eve. Fourteen of the world's best drivers are already assembled to compete for whatever prize they desire. There are many cars and drivers to choose from, including some favorites like Mr. Grimm, Warthog, and malevolent ice cream clown Sweet Tooth. Race or choose to fight in tournament mode, where destruction is key. Whin I received this game I tried to play it on my PS3 and kept getting the error code 80028F17. So I tried it on my PS1 and it kept bringing up the CD player screen. I cleaned the disc but it made no difference. I contacted Lukie Games support by email and got an immediate response. They apologized for the inconvenience, issued me an RGA and printable return label. They are processing it as we speak and have agreed to ship me another game disc. Overall I am quite happy with the experience and I would still recommend them to my friends. i bought this as a gift for my son and he says he loves it and it works great! I originally picked this game up when it first came out. While the graphics are dated and the controls feel extremely tight, its still a great game. The selection of cars to choose from is impressive, and the levels are very large. 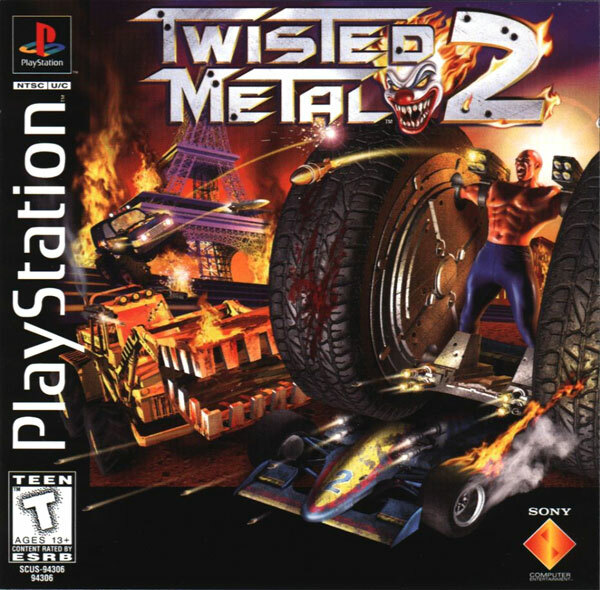 Twisted Metal 2 is by far the best of the entire series spanning all 3 Playstations. A friend and I loved the two-player option on this game. It was a lot of fun, as a team, eliminating the enemy vehicles in this game. We played Twisted Metal 2 for many hours each time. Great game.